The Day Job .....LED Lights and Water and Power! Well I feel powerful today! I got to shut down a major sized fountain here in the "City of Fountains" to test one of my prototype RGB LED fixtures.
" This gift to the city in the name of the co-founder of H&R Block, Inc is located at Pershing & Main Streets outside Union Station. It features 232 jets arranged in three concentric rings within an ellipse of black granite. A thin sheen of water on the flat granite creates a mirror to reflect the monumental architecture on either side. A computer choreographs an ever-changing pattern of display. On each hour and half-hour, a five-minute "high show" presents a celebration of water in movement. The fountain was designed by WET Design, the designers of the Bellagio fountains in Las Vegas." "Henry Wollman Bloch Memorial Fountain"
I am designing a LED light conversion for this fountain, one of my projects here at my day job at Duracomm. Currently there is no light show for fountain, as all the lights are incandescent warm white sealed beam lamps that are on or off. The only show is the computer generated water show as described above. When I am done the colorful light show will complement the water show with a computer choreographed operation. This is fairly complex operation. Anyhow this is one of the many things I get to do in my day job. Here are some of the older "super lights" in the middle of the fountain. 16 "Big Shooters" make the big squirts - These are air driven jets here. These get changed out and new colorful LED super lights get installed. This is in the pump room under the fountain. 8 high speed water pumps make the water shoot high in to the air. 232 jets make the fountain look spectacular! This is the mini-shooter relay panel. This is what controls the water jets on & off patterns. Can you say explosion at a spaghetti factory! This where the "majic" happens, the PLC controller for the water show. Here is a close up of the older "super lights" in the middle of the fountain. "Big Shooters" make the big squirts - These are air driven jets here. These lamps get changed out and new colorful RGB LED super lights get installed. The fountain was completed in 2002. I am excited to get to work on this big one. 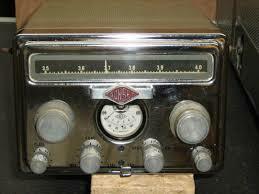 ...and THIS morning, I listened to KØOJ and the AM net on a Gonset G-66 Receiver. I got it at the Longmont, CO ham-fest; the guy had two - one he said worked, and this one "not so much"... I got IT and it's accompanying mobile p/s for $20... it looks as if it had gone through a flood or had been around some "wet". I replaced the VERY difficult to reach "black beauty" caps, cleaned tube socket pin-jacks (a real bugger on 7 & 9 pin versions) [some of which were green], replaced one INCORRECT tube / I think he stuck it in there to make it LOOK complete... then had to try and guess which alignment coils were which, as those pages didn't download... I finally found another site which had the FULL manual (also, "not so much"), and did a cursory alignment.. maybe that's called a curse-o-ree one. Got it kinda working... ultimately found that a .0033 tubular cap across the audio-output xfmr primary was buggered up, and the dropping resistor for the OB2 was essentially un-soldered (disintegrated solder joint) at one end... It's still a bit flaky, but worked pretty doggone well this morning. Why'd I buy it? 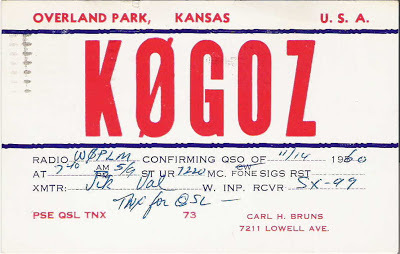 My VERY FIRST Elmer; I mean the guy who FIRST showed me a real ham shack, was a chap named Carl Bruns (KØGOZ sk)... He had a '58 Buick Roadmaster (cool, in it'self), but it had a G-66 & G-77 matched pair (CHROME, yeah! ), feeding a Webster BandSpanner - I mean, how cool is that - yeahhhhhhhh. I always wanted one of these receivers... maybe because Carl had one, so now I got it... amazing critter, as it's 10 tubes, and TRIPLE conversion! I've been running it with the Heath IP-17 HV bench supply... 12v filaments, with 210vdc @ about 70ma B+. I still have to fix the BFO... it does work, but injection is very, very low, so I'm guessing there's yet another bad cap or resistor... or dirty pin. The TRN5080 Test Box Is In Da House! 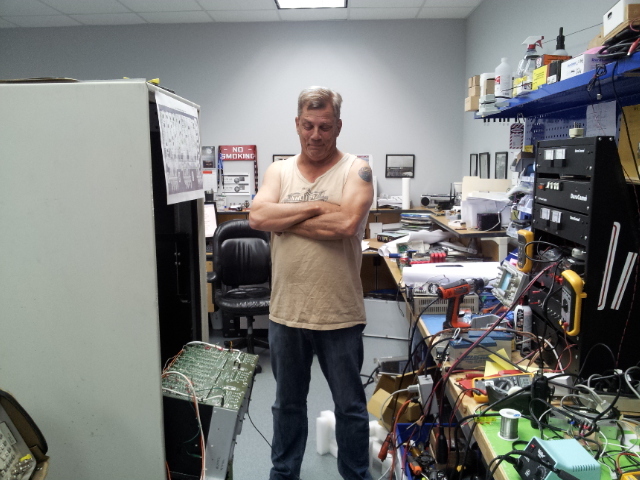 Chuck - KØXM tells me the TRN5080 Test Box Is In Da House! He says it arrived earlier today, so now we have to schedule another meeting to test it out. / insert Scom7K evil laugh track here: HAHAHAHAHA! 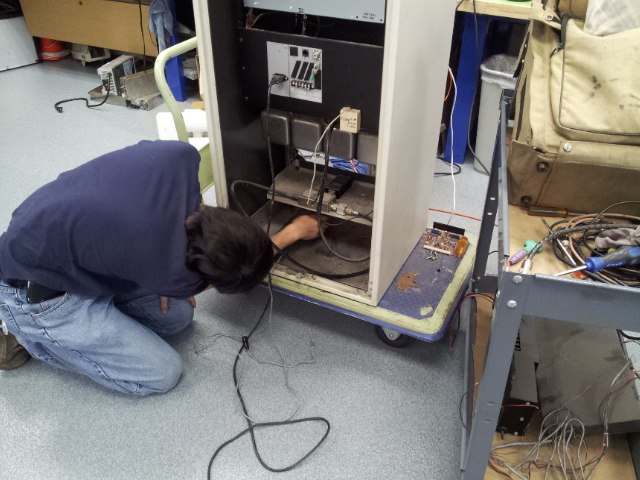 Working on the next generation of SDR RadioTechnology. YUP! 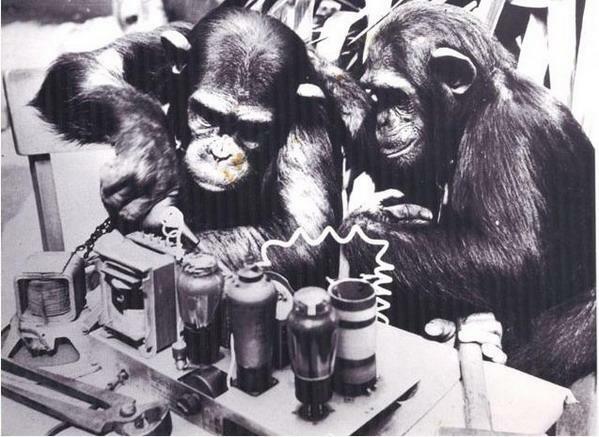 We Be Monkeying Around Werk'n on Valves and Chit! Well another BYRG Technical meeting came and went, but this one had some actual work take place. Work you say! Yes, work. Some pictures to follow later in this installment. Phillip - KDØIXY, Making some "adjustments", .... NOT! had Chuck- KØXM, & Phillip - KDØIXY and of course DrSmØke - WØNQX. The Meeting was held at "The Facility" on Troost Ave Thursday Evening. 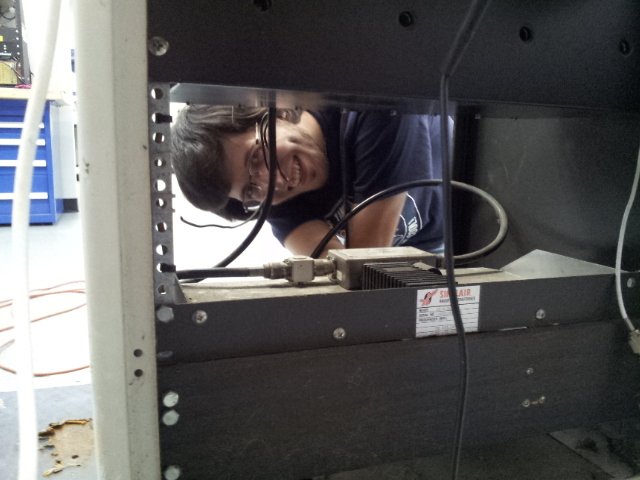 These meetings are held periodically so we can get technical stuff done for the BYRG repeater group. Held mostly on Thursday nights, since that seems to be the only day we can get all of us together at one place and at one time. Well back to the work at hand. 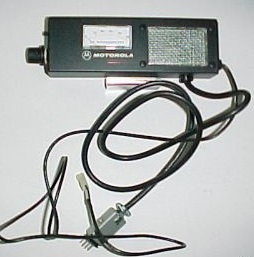 about 2 years ago one of our group members bought a large, very heavy Motorola surplus MSR2000 UHF station from the local "batwing" shops' mini-ham-fest held in conjunction with the annual Metro Shriner-fest, since they are right next door the the ham-fest location it is only natural they hold a mini sub-fest at their place. Well anyhow this big upright got pawned off on us as a good candidate to replace the aging 442.5500 BYRG Flagship repeater down on the Commerce bank tower, downtown KCMO. Chuck- KØXM sent the rocks off in March to ICM in Ok-City for a slow re-rock of the ICMs, yes I said slow, with rock bound repeaters you don't want overnight crystals made, you want them done sloooow, that way they are most stable when you install them in your repeater. ICMs are Integrated Crystal Oscillators. 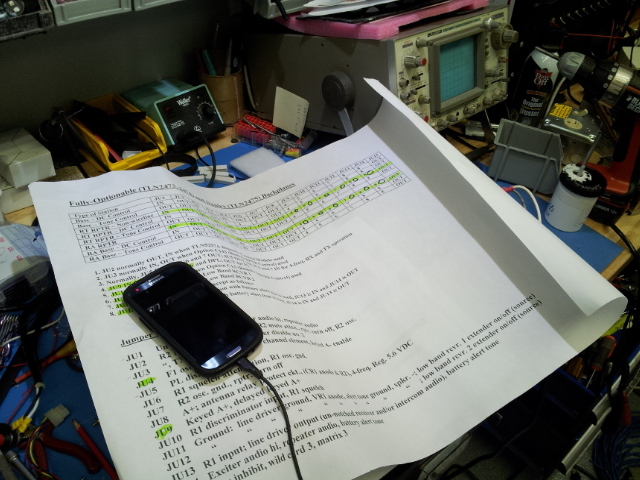 the Repeater-Builder site printed on "Old-Man" sized paper for us old guys to see the jumper tables. ICM oscillator signal 12.293 Mhz it was about -60 dbm. Then we added a gator clip for the PTT line and went thru the stages and tuned for peak. 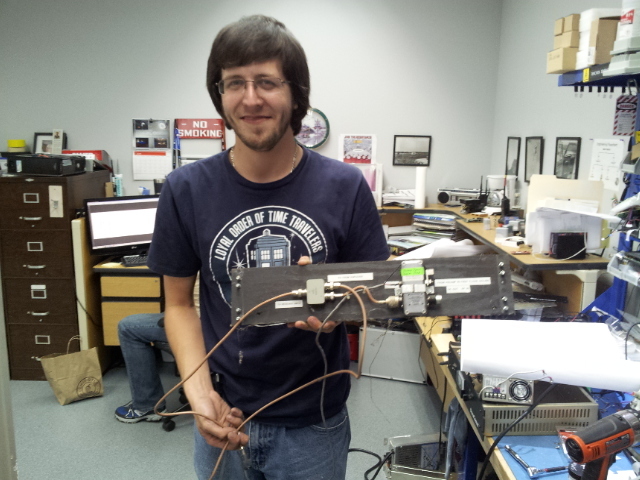 We ended up with a -45 dbm on frequency 442.5500 Mhz signal. We stopped at this point on the transmit side since we did not have the PA and the time for final pre-selector stage setting for the transmitter. 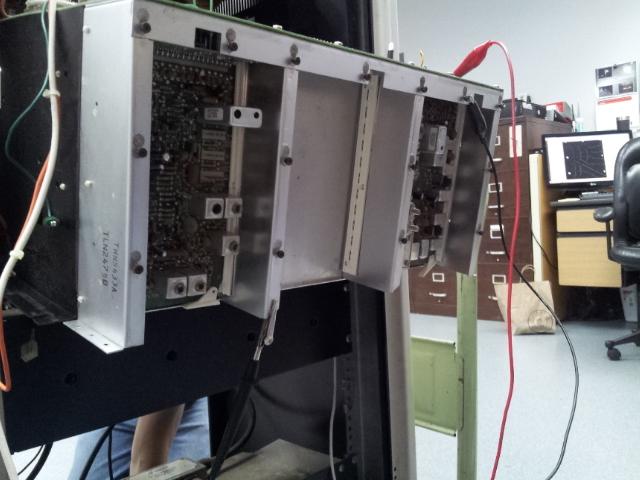 We moved over to the receiver side installed the ICM and the appropriate jumper to make the receiver active. We got kind of worried when I could not see a 48.538 Mhz signal from the ICM can. But after a quick math class 447.5500 - 10.7/3 = 145.6166 , we looked at that frequency and we had a nice -55 dbm signal there. We proceeded on to tune the front end and IF sections and at the end we got a 0.2uV over all receiver sensitivity for about 12db sinad. 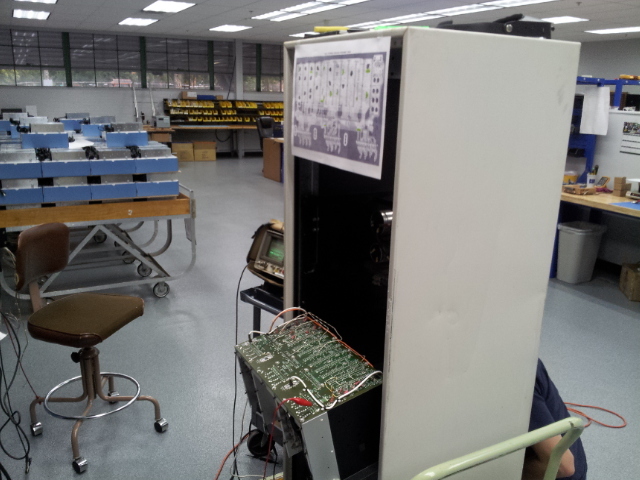 Now our young protégé, Phillip - KDØIXY was taking all this in and wondering what these 2 old guys were getting all excited about, of course he had read the instructions from Repeater-Builder site and wondered how we did all this without the TRN5080 test box. Very carefully we said. We should try and get one of these units. 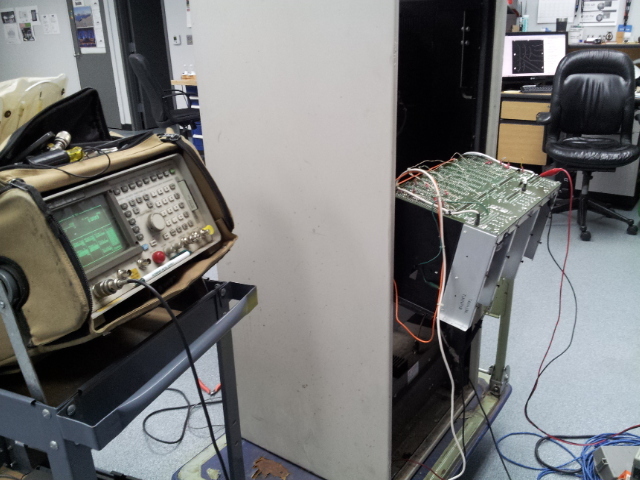 The important thing is that we had a spectrum analyzer to go through the stages with, ultimately we will go back through the sections with the proper test box before final deployment to make sure we are on the correct peaks and valleys, as we want to get all we can out of our replacement repeater. We have it now to the point were we can add the controller and start the point to point wiring for that part of the upgrade. And it will let us do some testing as we add the Asterisk based VoIP repeater controller to the mix. Psssst! 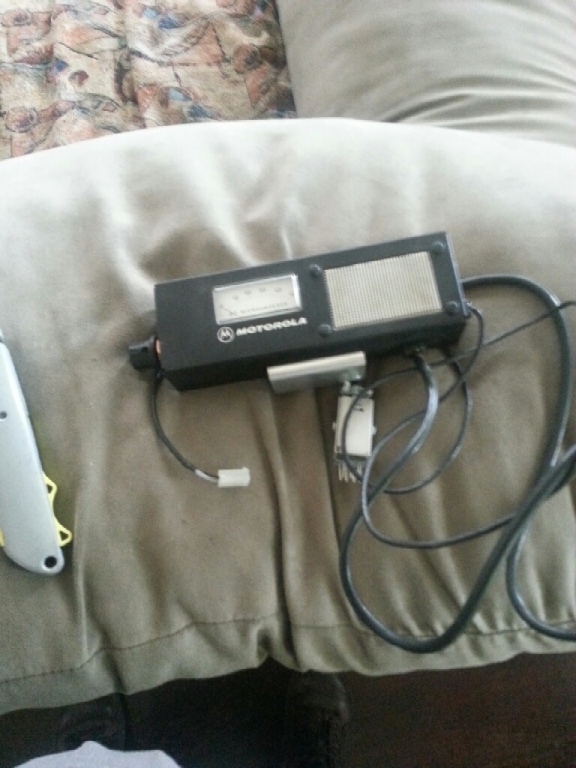 Anyone want to buy some used radio parts?